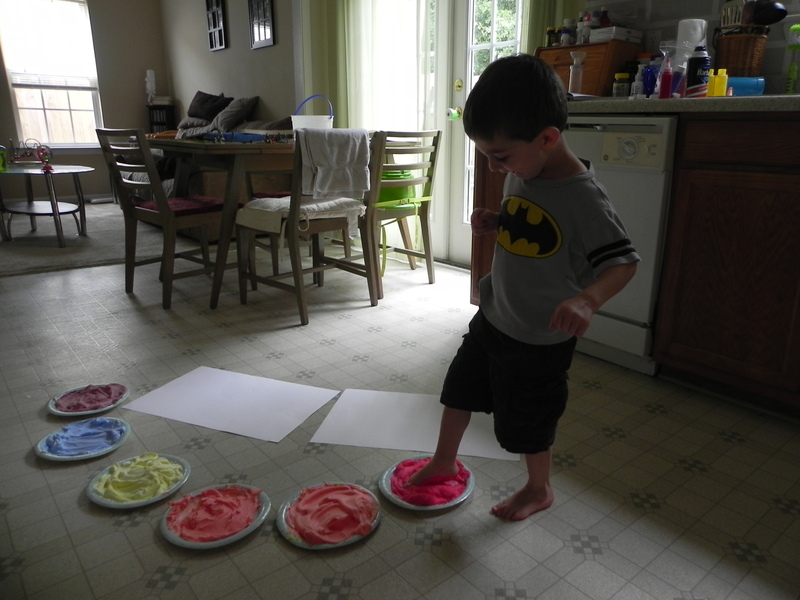 As a stay-at-home mom, I am always looking for activities I can do with my children to keep them entertained. Mostly for my oldest son, who is almost 4 years old. The 1-year-old is easily entertained. “G” has Pre-school in the morning, but needs some good structure and activities for when he is at home in the afternoon. 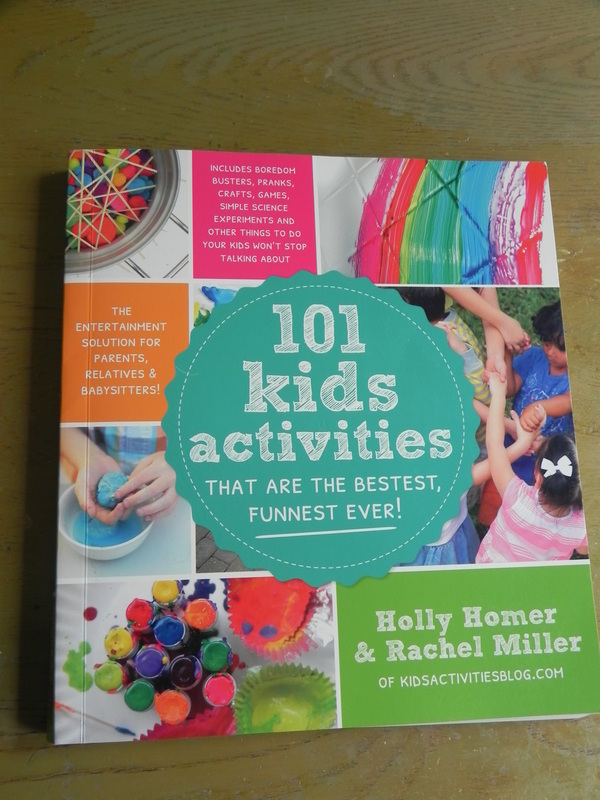 My husband recently found the book “101 Kids Activities” by Holly Homer and Rachel Miller. It’s filled with many boredom busters, crafts, activities, and games. Last week I finally decided to start trying some of them with “G”. Most of the activities in the book use materials you will already have at home. The rest of the required materials are items that can easily be purchased at a craft store. 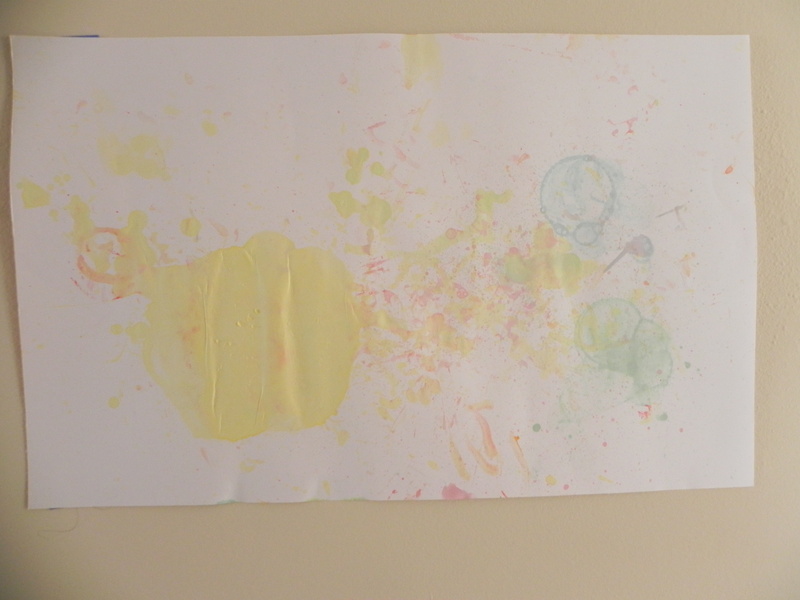 One example of a craft with home materials are the bubble prints. SUPER EASY and a lot of fun. 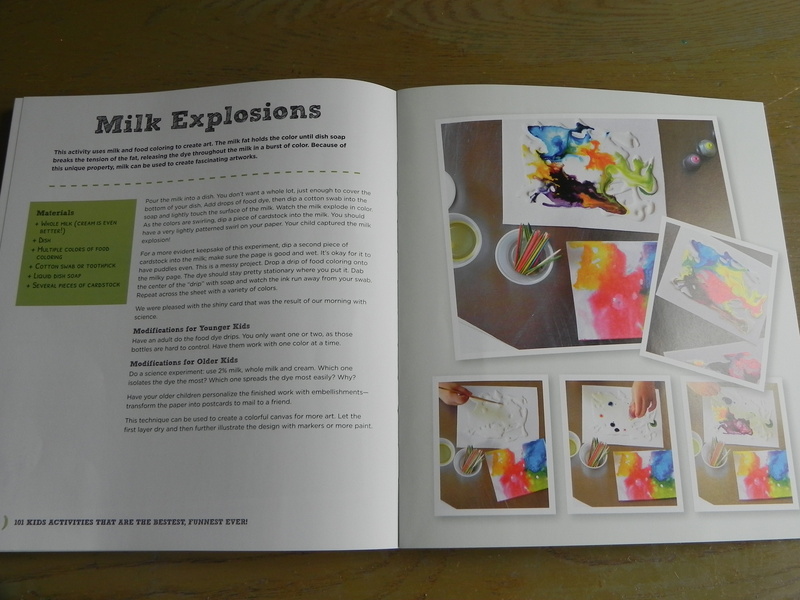 We also tried the Milk Explosions. This was a fun craft and produced a pretty result. However, the text explains how to do the craft one way and the pictures illustrate doing it a different way, so there’s a bit of a conflict there. It probably works to do it both ways, but we only did it according to the text directions. 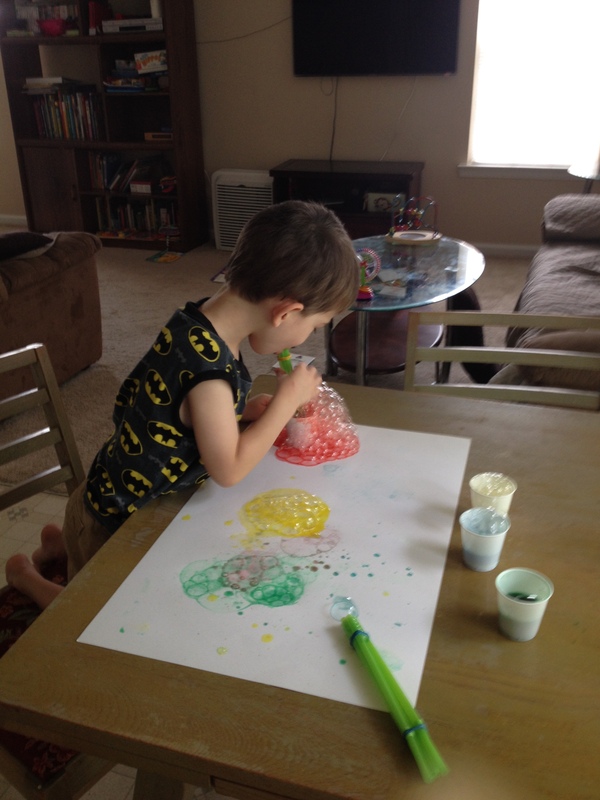 There are many activities that are very neat and won’t make much of a mess at all. 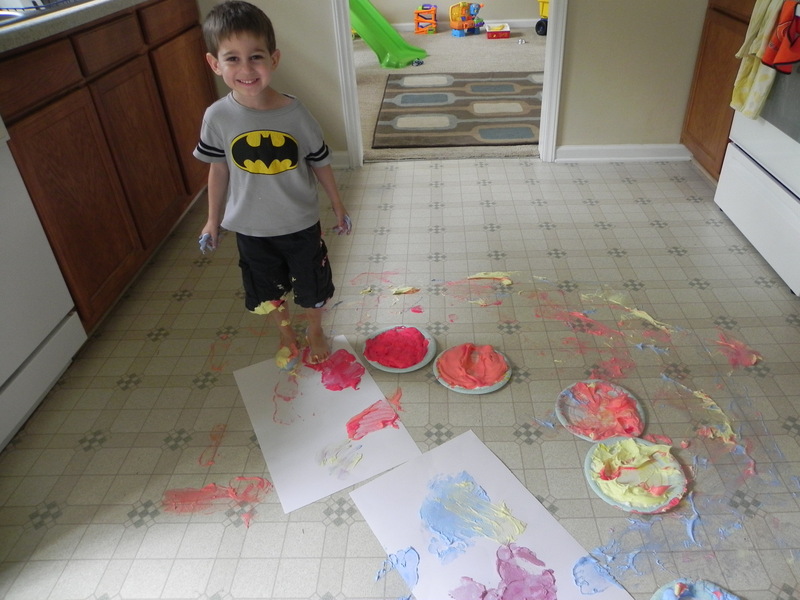 But there are also plenty of messy activities. 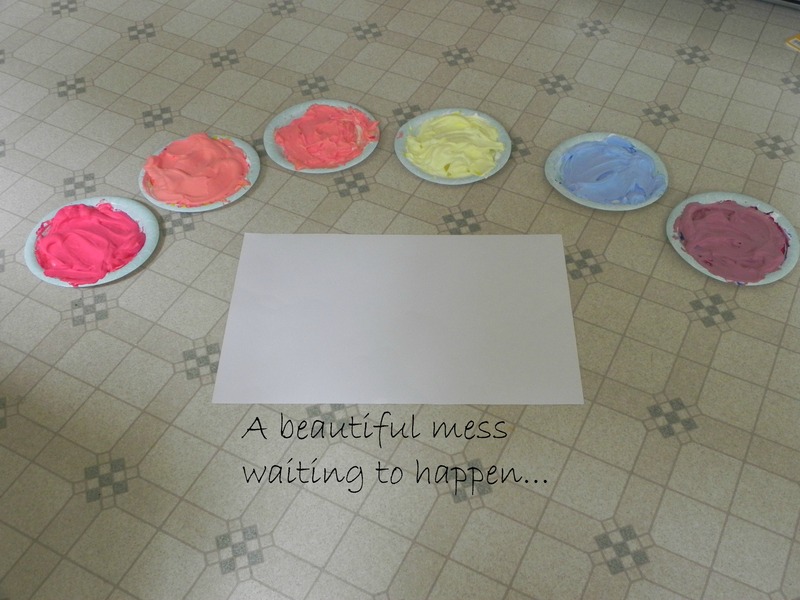 So, if you don’t mind getting all messy, I suggest giving them a try. 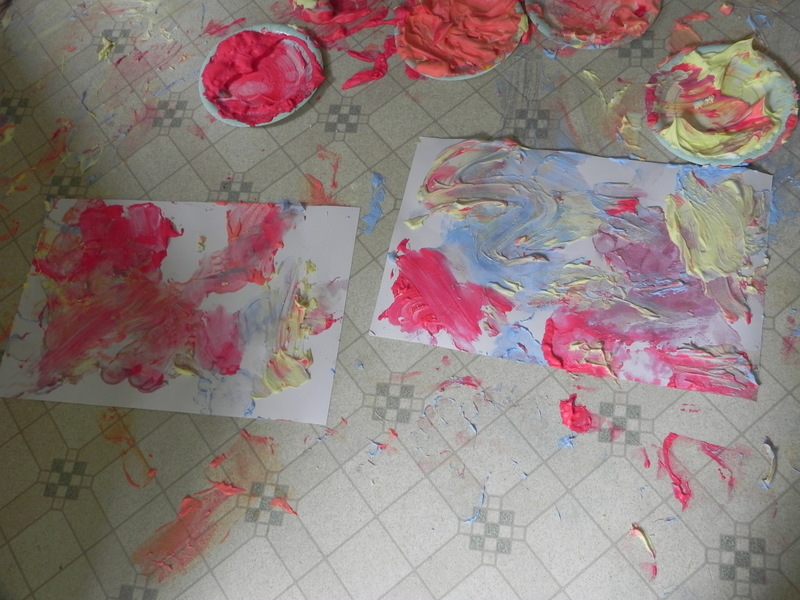 We tried the shaving cream painting. 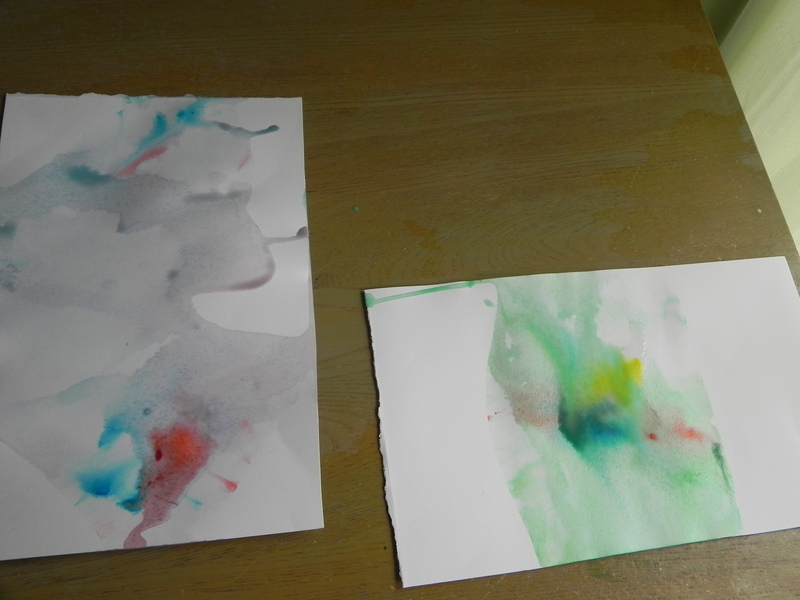 Very messy but loads of fun! My overall impression is that I love this book. We have only done a few of the activities, but I am very excited to try some more. If you are looking for some fun boredom busters and crafts to do with your child(ren), I highly recommend this book. Enjoy!